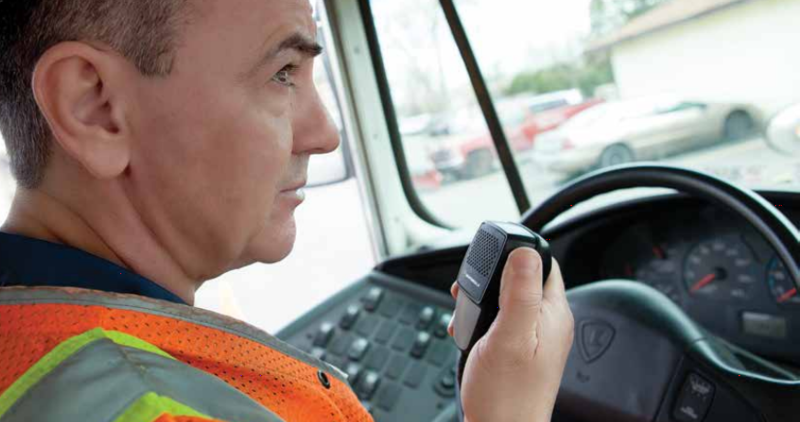 The rugged MOTOTRBO DM1400 and DM1600 are available as analogue/digital mobile radios that offer all the benefits of the latest technology – from superior audio to greater coverage. These affordable performers are compatible with advanced MOTOTRBO features you’ll find are business-essential, for example a transmission can be interrupted to prioritise critical communications. You can also choose the analogue-only models of the DM1400 and DM1600, and unlock the capabilities of digital when the time is right: all you will need is a simple software upgrade. 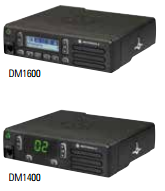 And whichever model you choose, the DM1400 and DM1600 will work seamlessly with the radios you have today. With its bright, high contrast alphanumeric screen, the DM1600 allows drivers to see important information such as caller ID at a glance. The DM1400 offers lower channel capacity and a simpler numeric display. The DM1400 and DM1600 are so easy to use and deliver such clear voice communications, you’ll be amazed how efficient your operation can be. A lost delivery driver uses his DM1400 mobile radio installation to call the office. The visor microphone and steering wheel-mounted push-to-talk button allow him to communicate safely while driving, and the radio’s digital noise-cancelling software filters out the road noise so he can be heard clearly. Soon he’s safely back on track. The bus driver relies on his DM1600 to keep his passengers safe. The digital technology gives excellent coverage along the whole route, and now they’re running the MOTOTRBO Dual Capacity Direct Mode, he has no problem getting a channel. The clear, bright alphanumeric screen gives him all the information he needs, and if there’s an incident, he can use one of the programmable buttons to call for help – with one touch. The DM1400 and DM1600 are made to last. They are backed by a two-year standard warranty and a minimum one-year warranty for Motorola-branded accessories. Moreover, the design has been proven tough in Motorola’s unique and gruelling Accelerated Life Test program, in which the radio must survive a simulated 5 years of hard service before it is accepted. In addition, optional Service from the Start provides multi-year peace of mind with fast repair turnaround times, expert telephone technical support and access to the latest software releases2 ; all backed by Motorola’s globally integrated services infrastructure, highly qualified support technicians and certified repair facilities. Radio meets IP54 and MIL-STD rating with microphone sealing boot and rear accessory connector cover properly installed.